M&A’s Scope: Historic metal-clad and wood window restoration and replication – 925 windows total; restoration of original bronze entry doors. 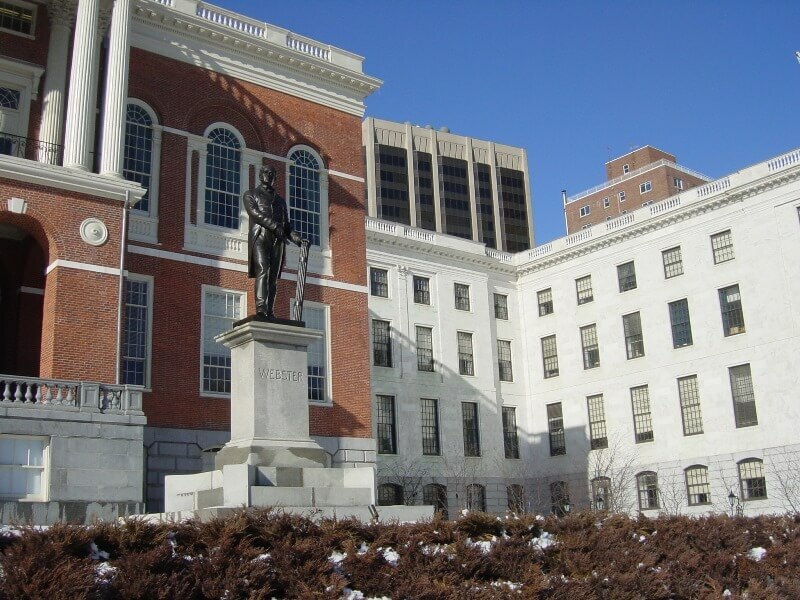 General Contractor: Suffolk Construction Co.
Muckle performed restoration to all openings at the Massachusetts State House starting in 2000 and continuing over an eighteen-month period. A restoration program was tailored and carried out for the sixteen hundred-window sash and forty door openings of the Bulfinch building and its three additions, the Brigham Annex and the East and West Wings. The work typified construction methods and design qualities distinctive to each period of architecture the building’s represent. 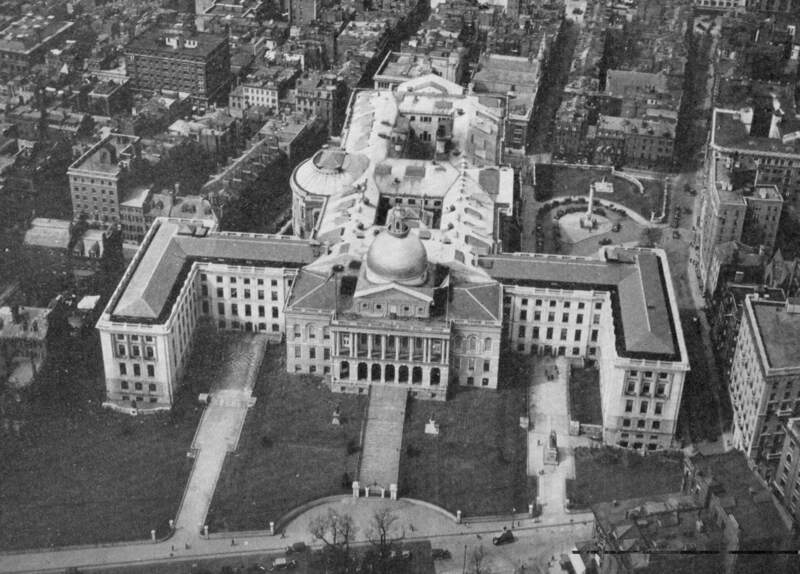 All work was the result of an extensive survey of existing conditions, one conducted prior to construction and a second performed after the removal lead paint finishes. The processes for repairs were grouped in several categories, representing degrees of restoration to full reconstruction of the product. All openings were not only treated to aesthetic improvements of their historic fabric, but also environmental, mechanical performance and thermal enhancements were given as well with the abatement of hazardous materials and the introduction of new or refurbished hardware, restoration glazing, historic paint finishes, and sealants. In the Bulfinch building, monumental sash pairs were replaced with new South American mahogany sash to exactly match the originals. In the Brigham Annex, the wood sashes were all restored. The metal-clad wood sash in the East and West wings required such extensive repairs that only one façade was restored, and the rest were replaced with new mahogany sash to match the originals. Over forty sash per week were restored in the Muckle’s conservation shop in order to meet the aggressive schedule and not disrupt the workings of state government.